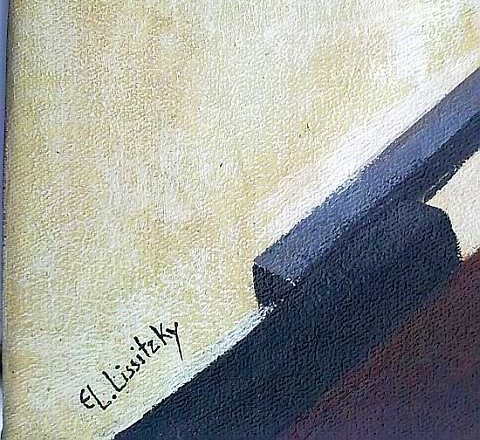 BIOGRAPHY OF THE ARTIST El Lissitzky was born Eleazar Markovich Lisitskii in Vitebsk in 1890. From 1909 until 1914 Lissitzky studied architecture in Darmstadt. In 1919 Lissitzky became a professor at the art school in Vitebsk, where he met Marc Chagall and Kasimir Malevich. 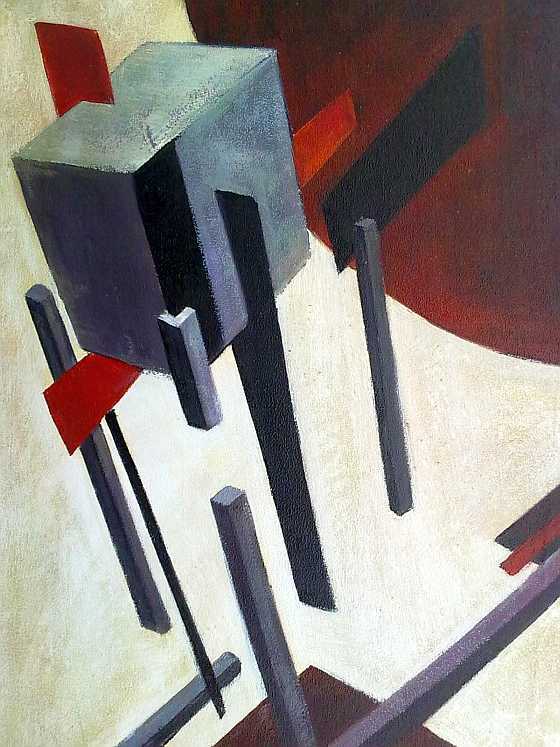 At that time Lissitzky turned to the Suprematist theory of art and the UNOWIS group, beginning to work on a series of abstract paintings he called 'Proun' ['For the New Art']. Between 1921 and 1925 Lissitzky worked in Germany, the Netherlands and Switzerland but became a professor at the Moscow Art Academy in 1921. He founded the international journal 'Vesc' in 1922 and devoted himself increasingly to typography and exhibition design. Between 1923 and 1925 Lissitzky designed the 'Wolkenbügel' project [office blocks for Moscow, some with splayed legs straddling streets]. In 1925 Lissitzky returned to Moscow and taught at the post-Revolutionary art school Vkhutemas. Between 1926 and 1934 Lissitzky designed several exhibitions. Lissitzky worked on the journal 'The USSR in Architecture', for which Lissitzky and his wife, Sophie Lissitzky-Küppers, designed a great many issues. Lissitzky was a Russian avant-garde artist who did not limit himself to developing a form of abstract painting but rather extended the new functionalism to photography, book design, architecture and urban planning. His enormous versatility enabled El Lissitzky to forge links between the Russian Constructivists and Neo-Plasticism (De Stijl), the Bauhaus and Dada. As a painter and architect, Lissitzky was both personally and artistically close to the painter and architectural model-maker Kasimir Malevich. El Lissitzky died in Moscow in 1941.